The Noranda Primary School choir has made a fantastic start to the year rehearsing for the Anzac Ceremony. The choir is looking forward to participating in One Big Voice later in the year, in which approximately 4000 students will sing in harmony at the RAC Arena. 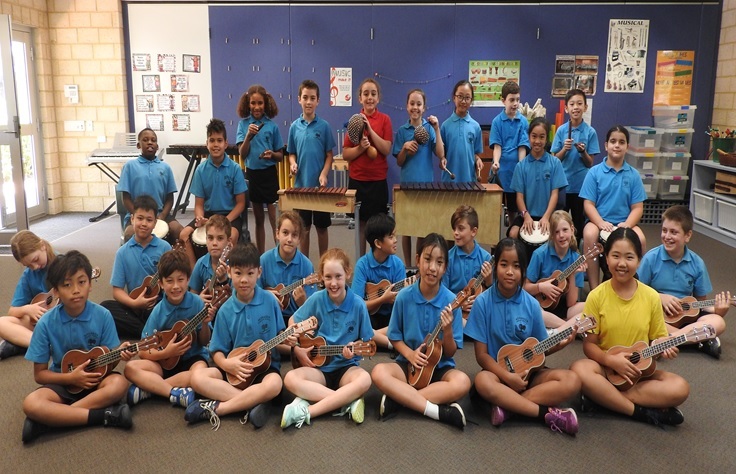 All students form year four to year six are enjoying our exciting new ukulele program. Ukuleles have been introduced to enrich the music program, and has resulted in great enthusiasm from the students and school community. Recently the year six students shared what they have achieved so far, performing at our school assembly. This term students have learnt basic strumming patterns and chords. Learning the ukulele is an excellent avenue for the development and consolidation of music skills and music literacy. Most importantly, playing the ukulele is fun!